I've been dying to find a new and different eyeliner for my eyes, since all I've been using the past year was the Benefit, They're Real! Push Up Liner. Don't get me wrong, I actually enjoy using Benefit's eyeliner, but I wanted to go for something different, something new. 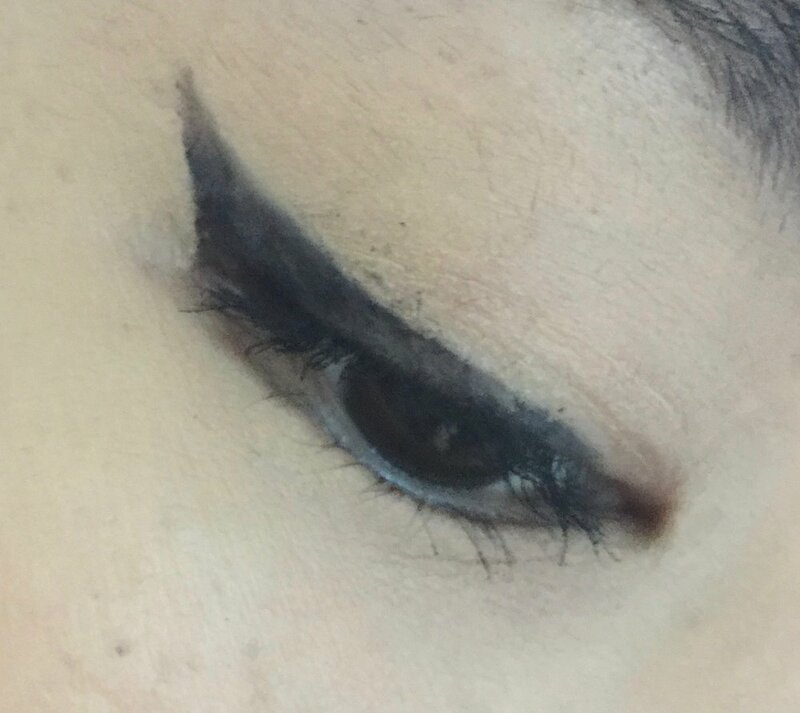 Before purchasing the Sketch Marker from Too Faced, I tried the Charcoal Black on my hands, and the eyeliner seemed to come out pretty easily. The color was also really nice, lines were thin and tight, not a sloppy look. So, I was like, why not? The packaging is super cute. I'm like a packaging lover. If you have good packaging, you are a winner! Anyways, when you take out the eyeliner, it looks kind of like those markers that you get at the kawaii Japanese stationery stores. When you remove the lid, it has a marker shaped tip. The whole point of the Too Faced tip concept was to make it easier for us to draw in our eyeliner. When I first tried it, the tip was extremely hard and made my eyelid very sensitive. I was really excited to use the tip, but for some reason, the tip just couldn't get any ink from the liner, I had to use the body part of the eyeliner instead of the tip to fill in my winged eyeliner, which made my wing sloppy. Excuse my bushy unplucked eyebrows. Teehee. Will I purchase this eyeliner again? No, definitely not. This eyeliner seemed really easy to use on her hands but on your eyes it is extremely difficult.